If you can donate used clothing in Athens, Georgia, then you can help patients with kidney disease. That’s because American Kidney Services is happy to accept donations from kindhearted people like you and use the generated proceeds to benefit the American Kidney Fund, a respected charity. The American Kidney Fund then uses 97 cents of every dollar raised to help patients with kidney disease pay for utilities, transportation, and other necessities. This is especially crucial due to the debilitating effects that kidney disease usually has on patients, oftentimes requiring them to miss work because they feel ill or require treatment. When you donate used clothing to American Kidney Services in Athens, you don’t only help those with renal disease, you also get numerous benefits in return. For instance, because American Kidney Services is a registered 501(c)3 charitable organization, all your donations will be considered tax deductible. * Plus, by giving away clothes you no longer use, you’ll be decluttering your home while engaging in the environmentally-friendly practice of recycling. We’re happy to accept any of the items above through a variety of ways – it all depends on what you prefer. For instance, you can leave your items in any of our drop boxes around town. You can also fill out our online form and have us pick up your items right off your driveway. Alternatively, you can drop off any donations at a Value Village location near you. 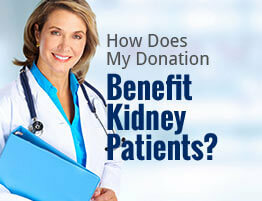 To learn more about how you can donate used clothing to American Kidney Services in Athens, GA, contact us today. We’d be happy to answer any of your questions and further explain how your contributions help improve the lives of those battling renal disease.